Yaounde — The United Nations Economic Commission for Africa (ECA) has hailed the decision by leaders of the Central African Economic and Monetary Community (CEMAC) to lift visa-based restrictions on free movement of citizens of member States across the Community with immediate effect, in compliance with existing agreements. According to the Executive Secretary of ECA, Mr Carlos Lopes, the decision of the 12th Ordinary Session of CEMAC Heads of State held recently in Libreville, Gabon, marks a watershed in the process of regional integration in Central Africa and will contribute to the African Union's vision of a fully integrated and economically vibrant continent. "The resolve by CEMAC Heads of State, coming just days after a technical committee involving ECA deliberated on pressing sub-regional integration issues, in Yaounde - Cameroon, is an indication that Central Africa's leaders are fully committed to the African Union vision of an integrated, prosperous and peaceful continent. "As an advocate for regional integration across Africa in general, and within Central Africa in particular, ECA welcomes this positive development. It has the propensity to boost economic, political and cultural interaction among the peoples of all countries concerned and increase cross-border trade while reducing its cost, optimizing human and monetary capital improvement and driving competitiveness," Mr Lopes said. 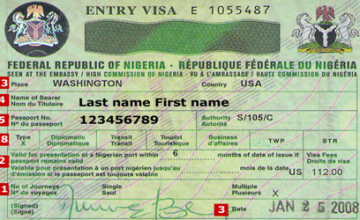 Calls for visa-free movements around the continent for African passport holders dominated the just-concluded World Economic Forum on Africa in Nigeria. The ECA Official noted that although there are challenges to most facets of regional integration, including the free movement of people within an economic community anywhere in the world, they are always surmountable with the right political, economic and security mechanisms put in place. He posited that there are far more long-term benefits to be gained from regional integration in Africa, if compared with concerns being raised. It is to be recalled that the CEMAC Heads of State decision is an actualization of the Additional Agreement of 29 June 2005 on the free movement of persons in the CEMAC zone and a concretization of the promise made during an extraordinary Session of CEMAC Heads of State that took place in the Gabonese capital in June 2013. Copyright © 2015 United Nations Economic Commission for Africa. All rights reserved. Distributed by AllAfrica Global Media (allAfrica.com). To contact the copyright holder directly for corrections — or for permission to republish or make other authorized use of this material, click here.